The Silver Bell Road Bridge project involved a complete replacement of the existing bridge and roadway approaches over the Grand Trunk Western Railroad. 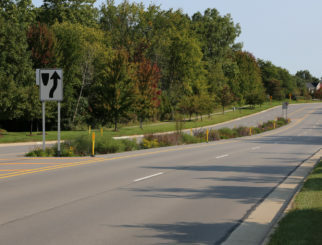 The bridge is located on the main truck access route to the General Motors (GM) plant in Orion Township, and is critical to the plant operation. The new bridge replaces an old box beam structure which had deteriorated and was closed to traffic in February 2011. It was very important to the local economy to replace the bridge in a timely manner. 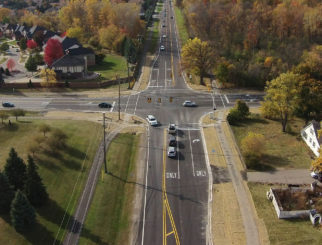 The Road Commission for Oakland County (RCOC) was able to quickly obtain funding for the new structure through a state grant. The project was constructed on time and within budget, at a construction cost of $2,807,000. The new bridge carrying Silver Bell Road over the Grand Trunk Western Railroad was open to traffic on June 30, 2011. 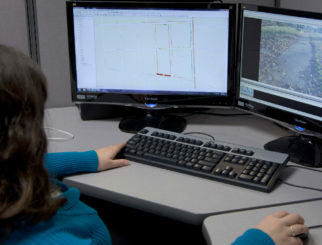 Project design work elements included the preparation of plans, specifications, and engineer’s estimate for bridge replacement and roadway approach geometrics. Upon completion of final design, SD also performed a bridge load rating analysis, and updated the BSIR and SI&A forms. SD reviewed project shop drawings during the construction phase. SDA coordinated project specifics with RCOC, Oakland County Water Resources Commissioner (OCWRC), MDOT, local agencies, and utility companies. SD conducted the topographical survey of the bridge and its approaches which included work along the Grand Trunk Western Railroad. The geotechnical investigation provided soil condition recommendations for the selection of the best foundation systems for the project. A major obstacle for timely construction was the bridge’s close proximity to a high voltage power line located along Silver Bell Road. That power line provides electricity to the GM plant, and is crucial for the plant operation. In order to eliminate power line shutdowns, a portion of Silver Bell Road had to be relocated six feet to the north, and all components of the bridge were designed to provide a safe clear distance to the power line and appropriate railroad clearances.